I can never tell you how much hardships my hair had been throughout the journey of being a model, especially one that is active for hairshows and such, my hair is under constant bleaching, chemical product processes that there's once my hair went "jelly fish" on me! 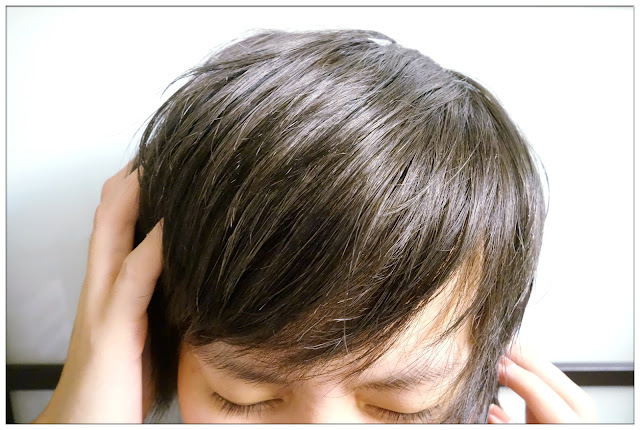 The texture of my hair became "spongy and soft", one pull of my hair can stretch to 3 times its length. It was my worst nightmare I wouldn't wanna see that happen to my hair again. 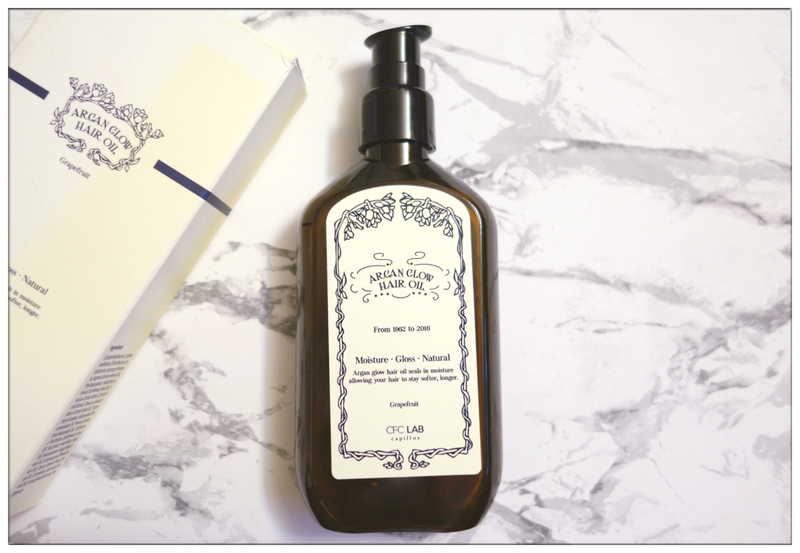 CFC Lab or as known as Iljin Cosmetics is an unknown name to me, but not to fellow Korean beauty lovers because it is a 50 years history company and they've used one year to dedicate their effort in making this Argan Glow Hair Oil in order to suit the needs of user. They did product plans as long as 6 months to cover 40 different units of hair oil available in the market just to understand customer's needs and behaviours, a 4 months of production samples involving production of 30 different type of scents and 2 months of product design and image in order to deliver the perfect hair oil to the market. When I first receive the bottle of hair oil I was like: Wow! The packaging and bottle design looks vintage, and comes with different type of cape (screw cap and pump) so you can either pour the hair oil directly or use the pump the amount of hair oil that you desire. I was impressed by the quality of the bottle and pump cap as they constantly deliver smooth pumping to the amount of hair oil that I'm gonna use. Second thing I noticed upon using the hair oil is - The scent. Its grapefruit scent smells aromatic I could not tell you how much I'm loving it! It scents perks up my mood whenever I'm having some rough mood dealing with my damaged hair, and there's nothing that this bottle of grapefruit scented argan glow hair oil couldn't do. These components has created a effective, Vitamin E, Carotinoid, Lecithin, Protein, Vitamin C, Oleic Acid loaded with a very lightweighted and non-sticky texture. I love how light the oil feels when I pump it into my hand, and my hair absorbs them in an instance without any greasiness left on my hand. I'm glad I found this hair oil and it has gave me such a good feeling towards my hair after applying. My hair becomes smooth, softer, moisturized and easily managed after application and it becomes healthier too day by day after some time. I think I just found the perfect hair oil for myself.